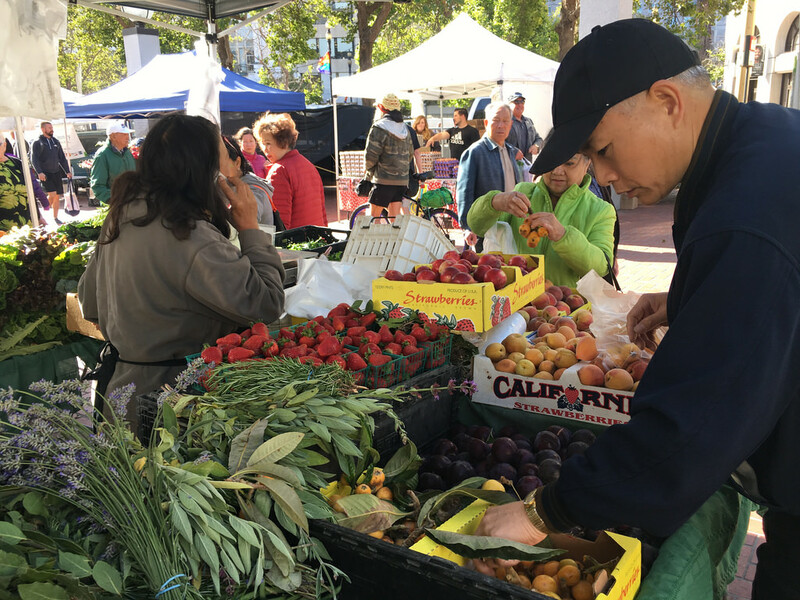 Find fresh, local produce at a San Francisco farmers market. 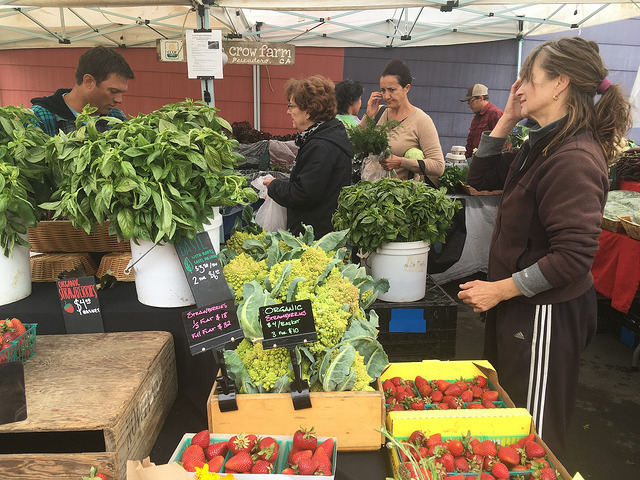 Civic Center farmers market: "Heart of the City Market"
Fresh Produce: Produce is brought directly from nearby farms, so you get food at its peak. Less Waste: Buying directly from farmers helps prevent waste in the delivery process. The fewer people handling the produce and the shorter distance it travels, the less likely fruits and vegetables are discarded along the way. 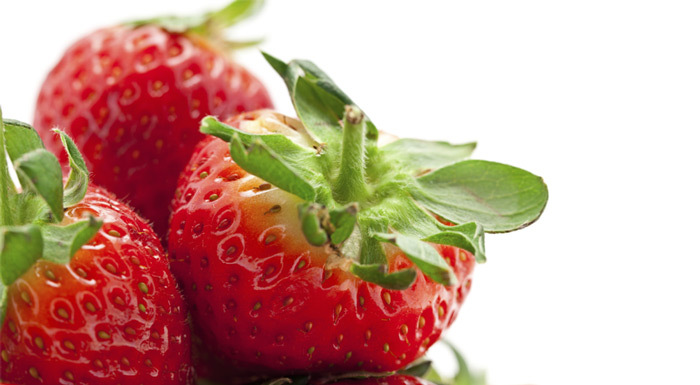 More Taste: Find out what's in season and grows near you. You can also get the whole vegetables -- carrots with their tops, cilantro with its roots, beets with their flavorful card tops! 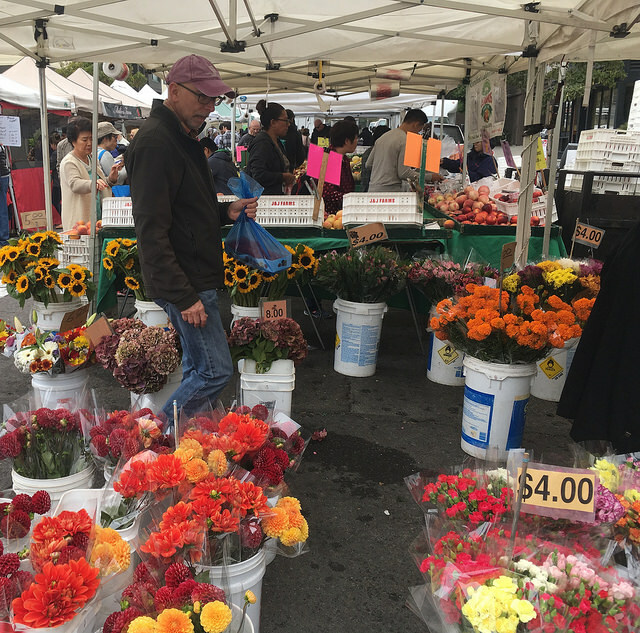 Noe St., at Market St.
Are we missing a local farmers market near you? Let us know. Which vegetables and fruits are in season now in San Francisco? Love food? Keep it fresh.